Do you consider yourself a member of the Millennial generation? You know the ones—idealistic, go-getting, world changers with little to no money and no follow through? What if we told you that reputation was about to change? This week’s guest on “Embracing Intensity” seems to think so too. In fact, she has devoted an entire podcast just for you! Meet Ivy LaClair, a Personal Transformation Coach and host of the Motivational Millennial podcast. Personal Development and transformation are the names of her game, and she is prepared to motivate, empower, and equip the Millennials to be the generation of world changers they were destined to be. 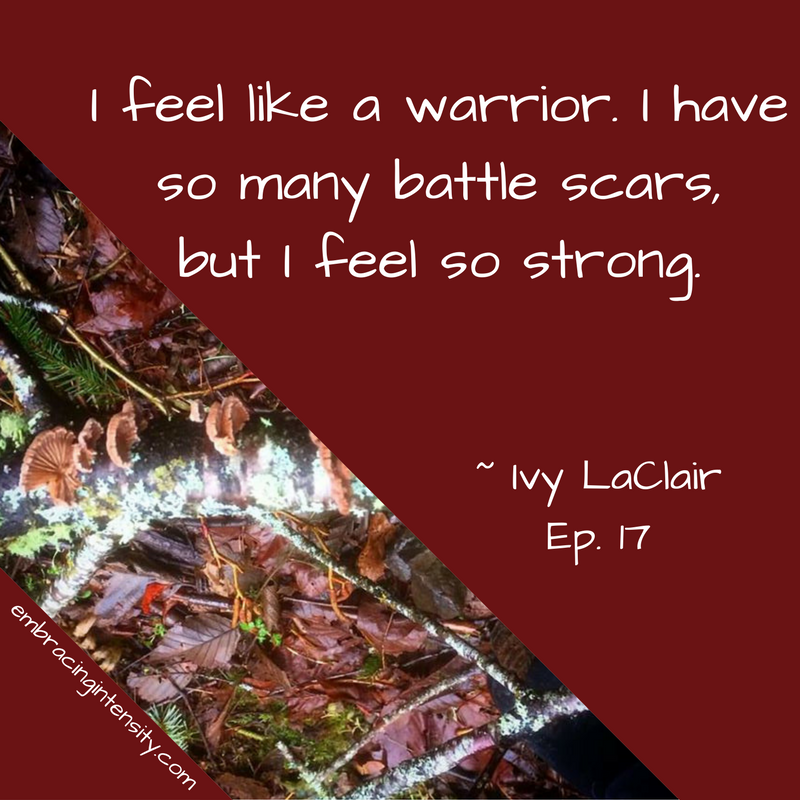 Join in this week as Ivy describes her personal journey of transformation, healing, and empowerment, and see how you might fit into this movement towards personal change! Hear how Ivy coaches the idealists and dreamers to pair their vision with action and persistence. Learn how the Co-Active model of coaching can be empowering and life-changing. Ivy shares how her intangible passion for transformation and change became a career. Discover the power you have inside and your own personal story of empowerment. Understand the importance of a community of support. See what tools Ivy and Aurora have to create your own community of support in this season of growth for you! Sign up for the Break the Stress Cycle - 7 Day Challenge! Coaching with Ivy – Free Sample Session!